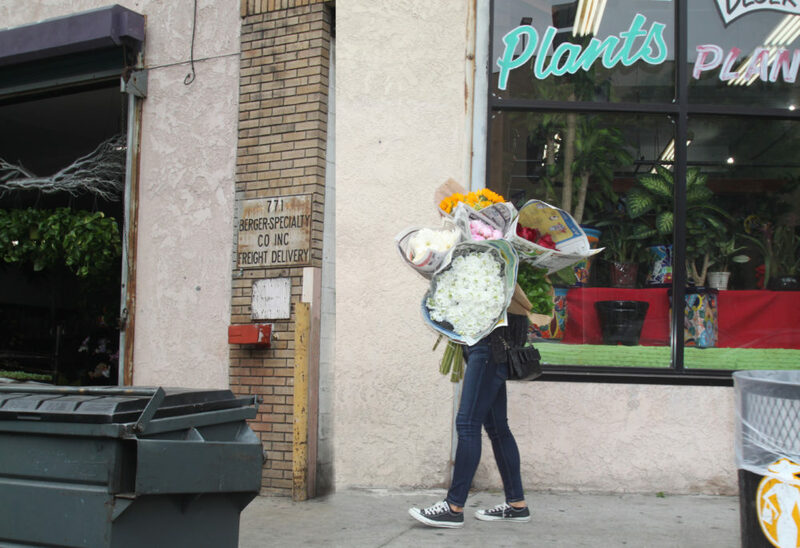 The Los Angeles Flower District (apparently, the largest wholesale flower market in the U.S.) sits quietly in the slummy heart of DTLA. 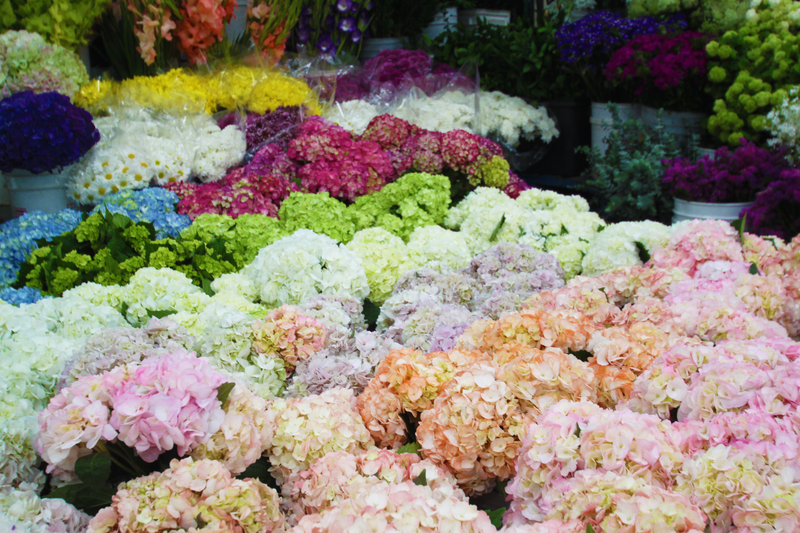 That’s three blocks long and two blocks wide FILLED with fresh shipments of blossoms in every color, size, shape and fragrance imaginable. But be warned: you’re essentially on Skid Row territory; particularly if you wander beyond the Flower District boundaries north past 7th Street. So let’s not do that. After the wholesale buyers get first dibs, the shops open to the public at 8 a.m. on Monday, Wednesday, Friday, and 6 a.m. on Tuesday and Thursday. Admission is $2 on weekdays and $1 on Saturday. (Although, we got in for free by going 30 mins before they closed! Pro tip?) 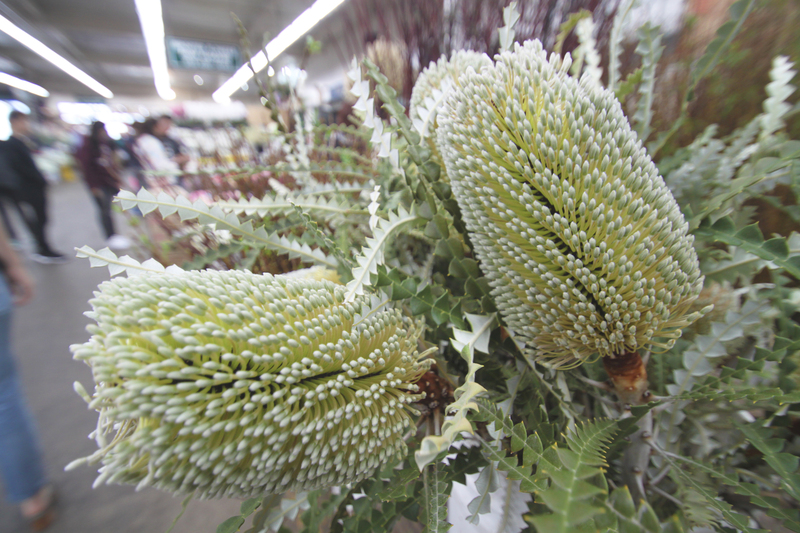 On Sunday, only the California Flower Market is open, no admission charged. Your best bet for parking is at one of the lots beside or on top of the two big flower marts, though street parking is (somewhat) available. We kinda just got lucky with parking, which took around 20 minutes circling the marts. Carry cash and be prepared to negotiate if you’re looking for a good deal. And don’t be tricked into high prices! Shop around first, scope out the sitch. $9 to $11 should get you 25 stems of roses, $4 to $6 should yield 25 stems of carnations, and sunflowers should run $3 for 5 stems. 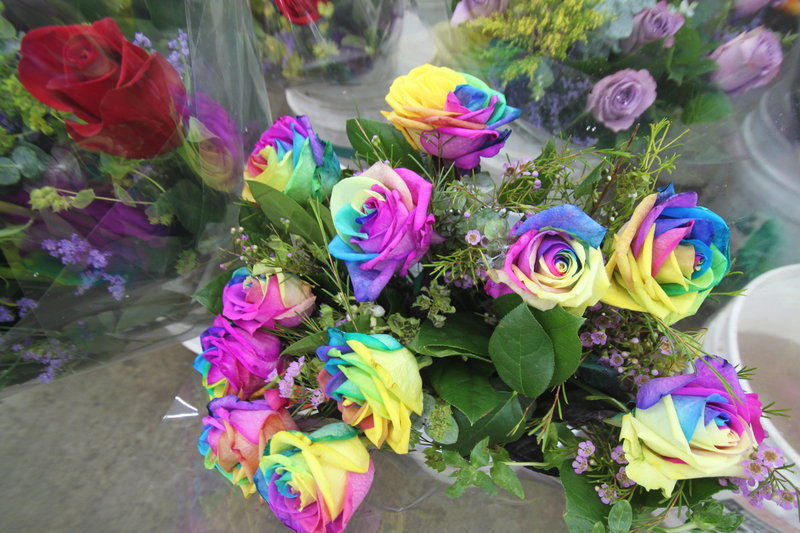 Most vendors are happy to create an arrangement for you, but if you’re DIY-inclined, many of the stores also sell floral accessories including driftwood, vases, baskets, spray glitter, colored sand, plastic butterflies, candles and gift cards. Some brief history: the two O.G. flower marts were built in 1913 and 1921, when the LA population just barely hit the 100,000 mark. 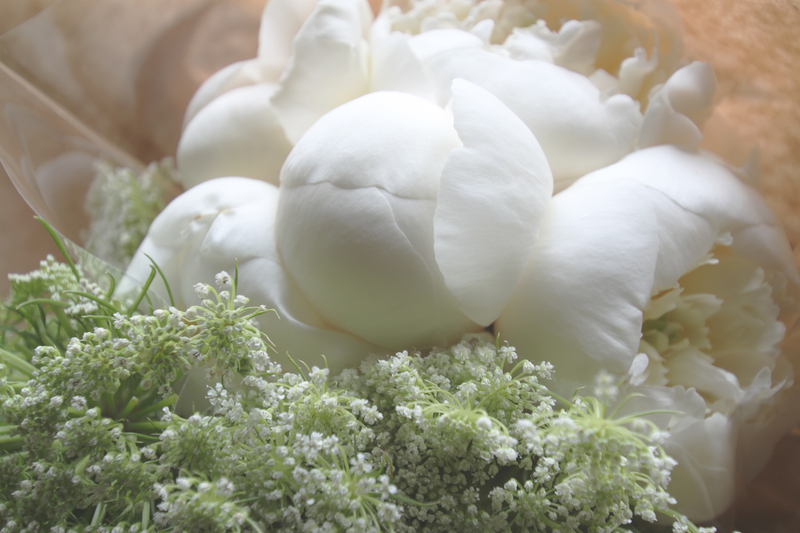 At the time, flower fields were located on the outskirts of Los Angeles; when refrigerated trucks didn’t exist. 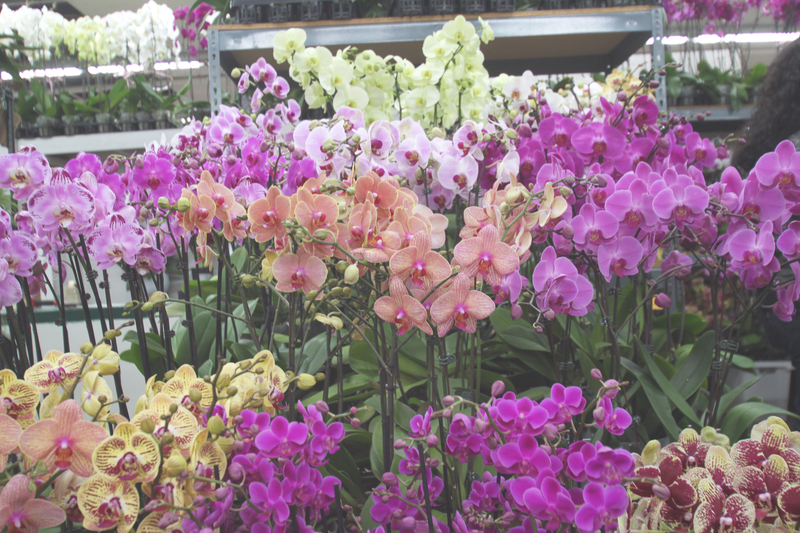 Today, the flower-selling business has sprouted into a global industry with shipments from such far off places as Costa Rica, Colombia, Brazil, Kenya, Holland and Thailand. 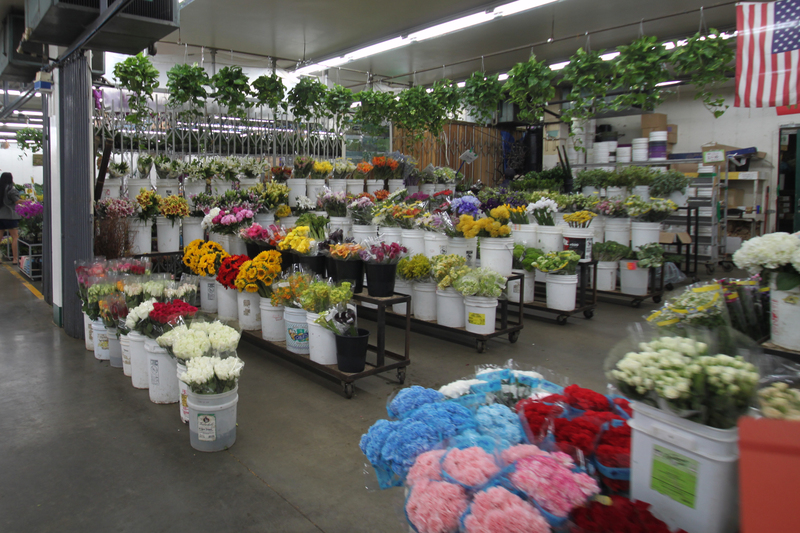 Visiting the Flower District offers an enlightening way to experience a slice of colorful downtown life, whether you’re planning a party, celebrating a life or death, or just want a “feel good” bouquet to surround yourself with and pretend you’re Lana Del Rey.